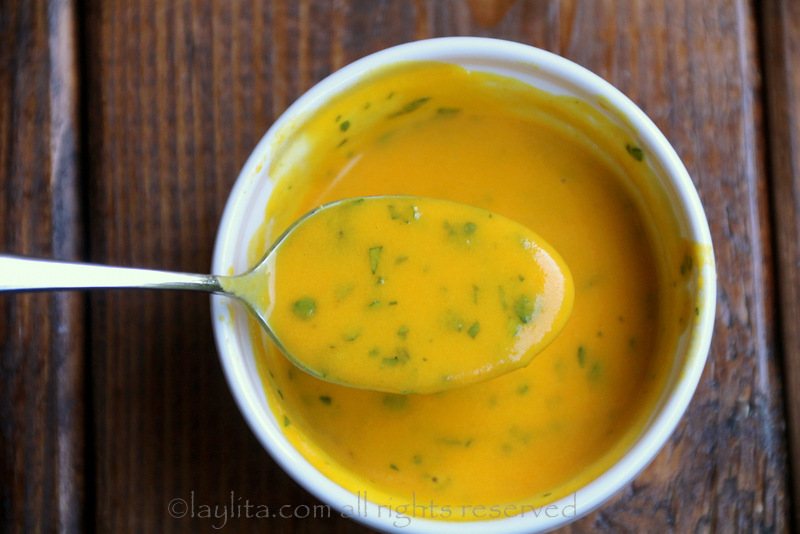 This passion fruit hot sauce recipe, or ají de maracuya, is a mildly spicy creamy salsa made with passion fruit juice, ajies or hot chile peppers, lime juice, olive or avocado oil, and cilantro. Maracuyas or passion fruits remind me so much of home. Whenever I’m lucky enough to get my hands on fresh passion fruits, just the smell transports me back to my childhood in Ecuador. 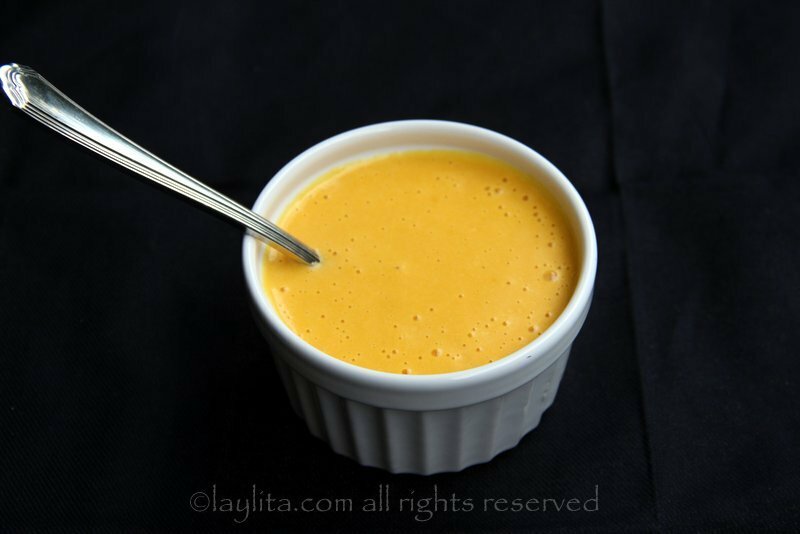 Usually when I prepare something with passion fruit, it is typically a dessert or cocktail. 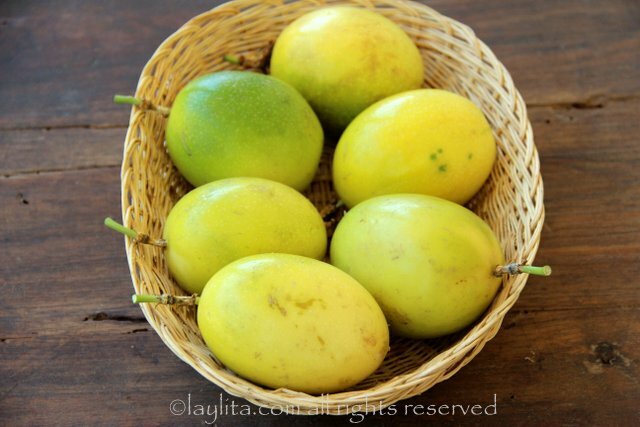 However, I also love using this delicious fruit in savory dishes, from ceviche to meat dishes. I also love the flavor combination of passion fruit and spicy hot peppers. 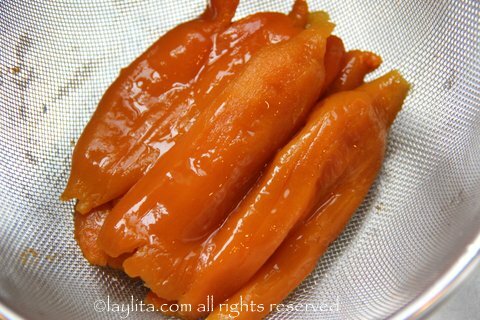 This passion fruit aji or hot sauce is inspired by another popular fruity hot sauce that is found all over Ecuador: tree tomato or tamarillo hot sauce. 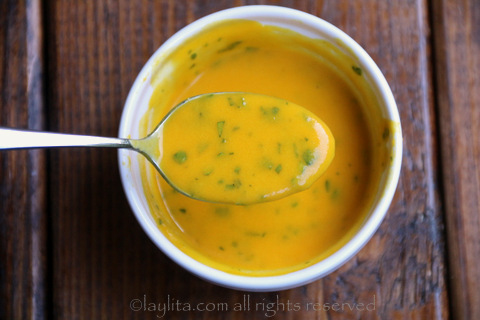 Recipe for passion fruit hot sauce, or ají de maracuya, is a mildly spicy creamy salsa made with passion fruit juice, ajies or hot chile peppers, lime juice, olive or avocado oil, and cilantro. 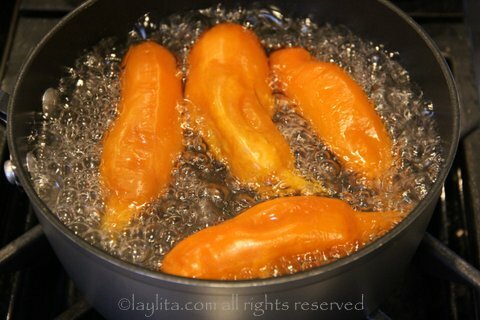 Boil the ajies or hot peppers for about 10-15 minutes. 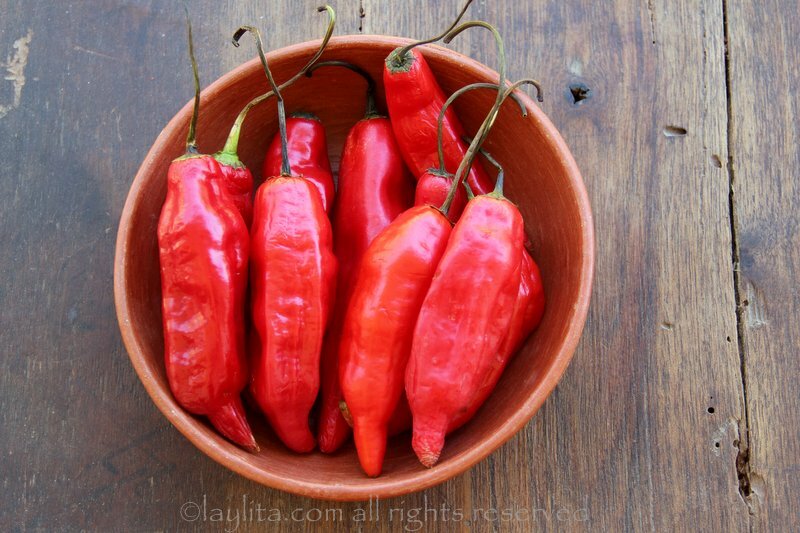 Place the hot peppers in cold water to cool down. 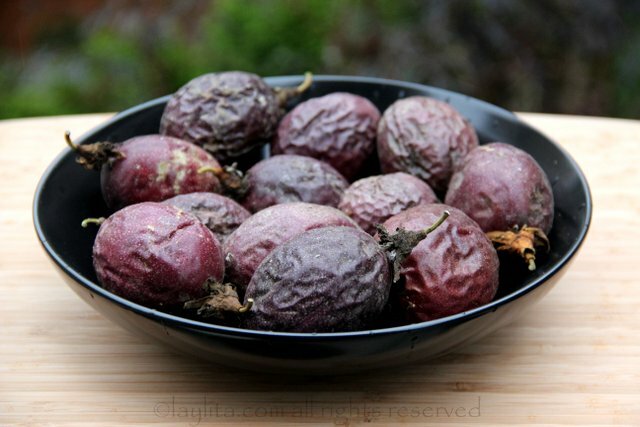 Remove the skins and the seeds/veins. 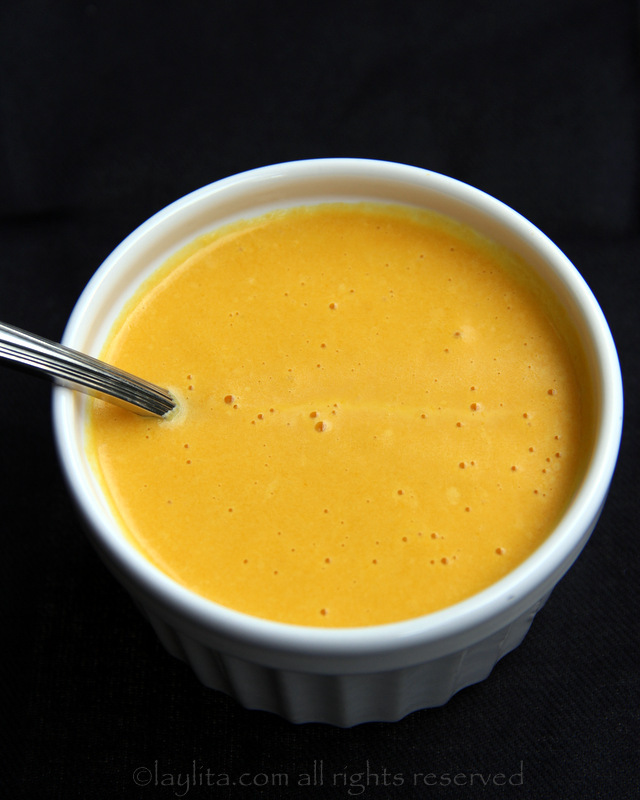 Blend the peeled ajies with the passion fruit juice, light olive or avocado oil, and lime juice until you have a smooth sauce. Mix in the finely chopped cilantro (if using). 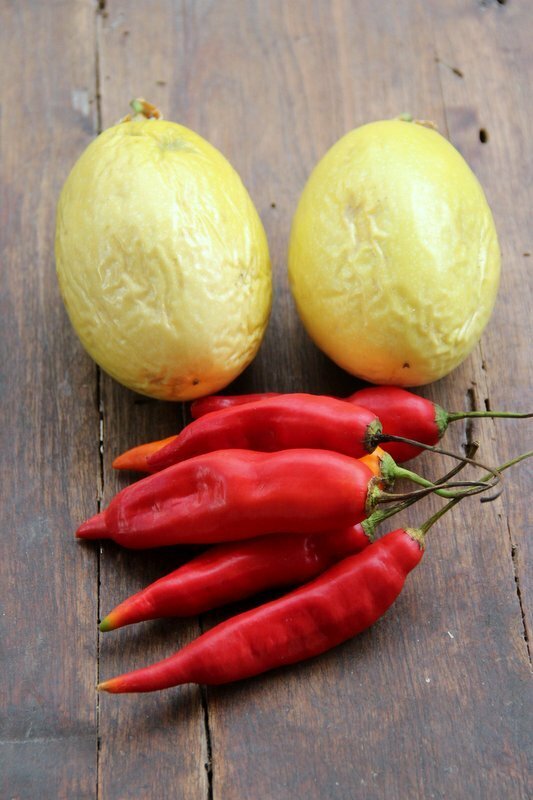 In Ecuador, the most popular aji or hot pepper is a long red hot pepper. These peppers grow like weeds and can be found anywhere you go. 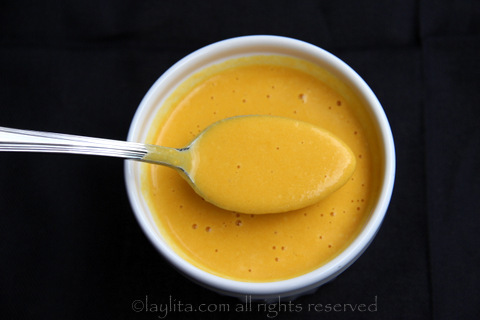 I first made this sauce in Ecuador using yellow passion fruits and these red aji peppers. However, I haven’t been able to find the same hot peppers in the US. 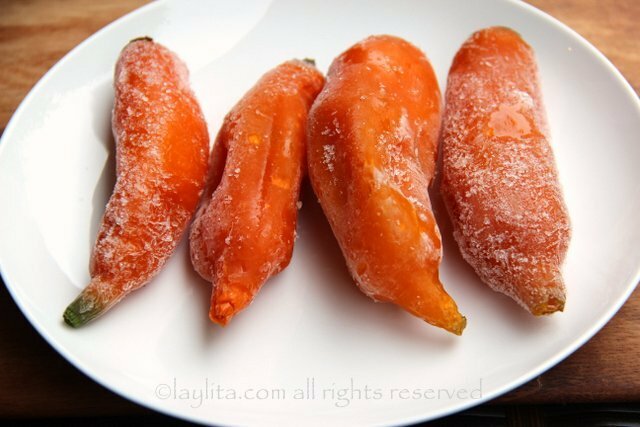 Luckily I can find Peruvian aji amarillo peppers frozen at the local Latin grocery store. 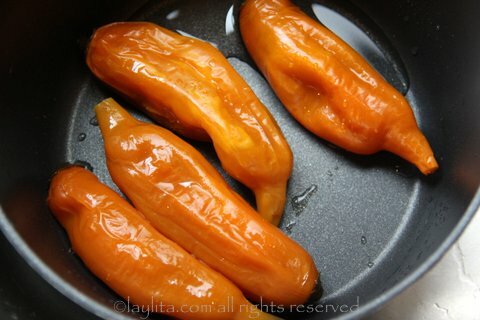 Peruvian aji amarillo peppers, which translates as yellow hot peppers even though they closer to orange in color, are the closest to Ecuadorian red peppers that I can find in the US. 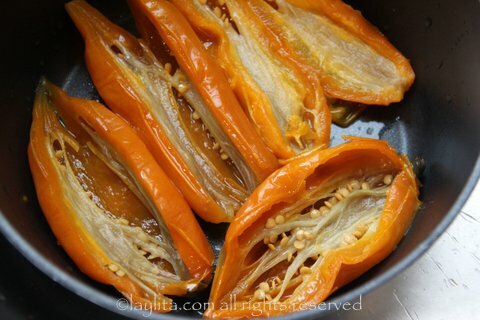 I use either light olive oil or avocado oil for this aji, I wanted to preserve the taste of the passion fruit and hot peppers, so I opted for a neutral/non-overpowering oil. However, feel free to use regular olive oil if you prefer. 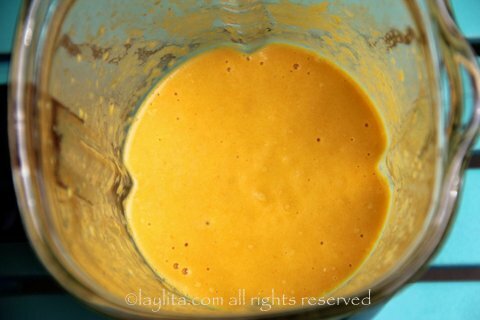 This passion fruit hot sauce can be served as a dip for patacones or chifles (fried plantain chips). 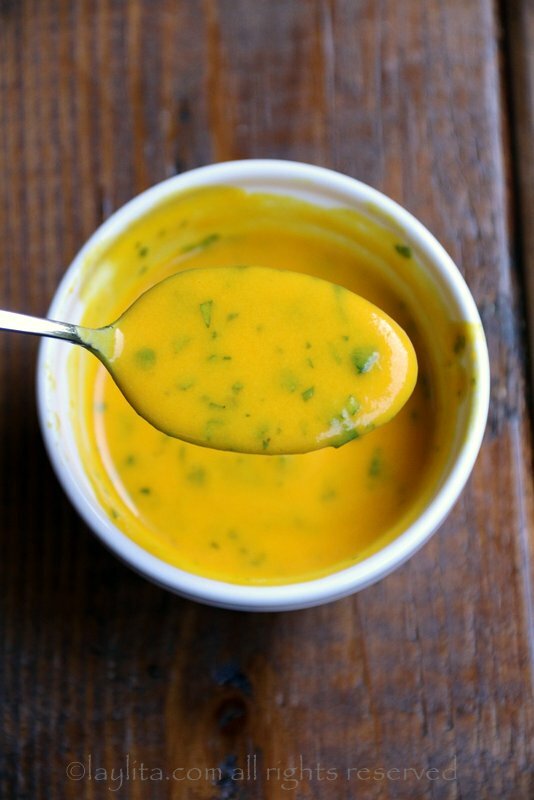 It also works wonderfully as a dipping sauce for chicken empanadas. I’ve also served it over grilled chicken and with grilled salmon. 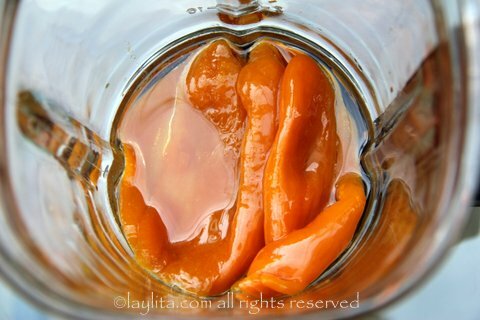 I’m sure you won’t have any problem finding good use for this delicious aji salsa. If I bottle this, how long will it keep, or does it need to be used fresh? It should be used fresh. 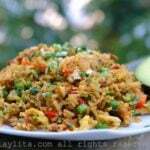 Amazing recipe and versatile since it can be used with different protein ingredients from fish to meats. Cilanto adds that wonderful dimension I grew up with in Colombia. Although I left Colombia when I was seven years old and learned French cooking in culinary school, your web site has educated me in the delights of Spanish cooking. 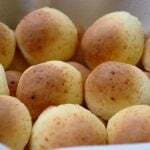 I always look forward to receiving new e-mails with the subject starting with “Laylita’s Recipes.” Thank you for your creative culinary skills.